Arrived at Scarteen Summer 2012 and allowed plenty of time to mature. Had been broken prior to purchase and came back into work. Hacked out and worked lightly over winter. 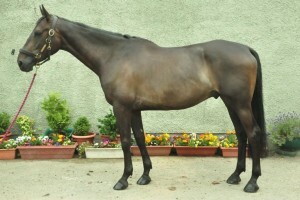 February 2013: Brought into full work schooling flat, poles, XC with view to competition outing April. Showing extremely good attitude, athleticism and ability.